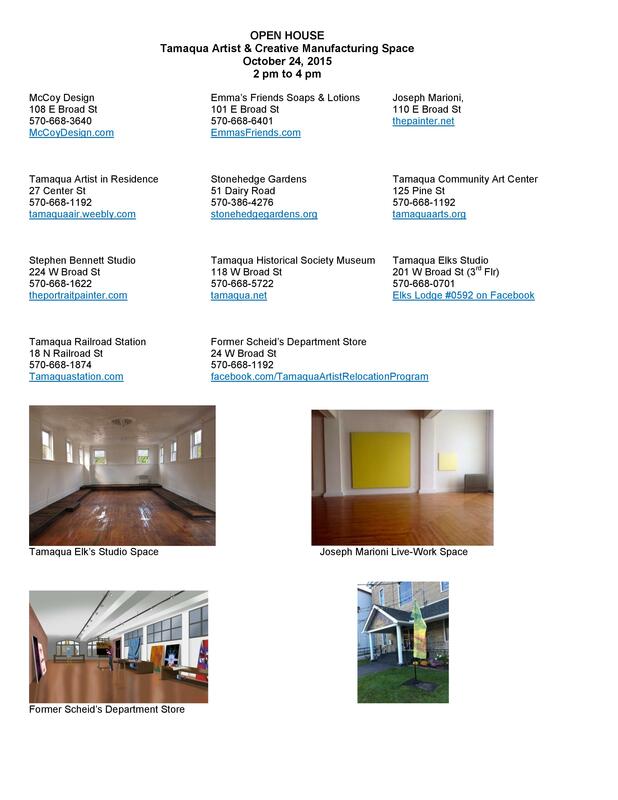 Various artists in and around Tamaqua will be holding open houses this Saturday (October 24, 2015) from 2 PM to 4 PM. For more information or a list of locations, visit https://www.facebook.com/tamaquaair or https://www.facebook.com/tamaquaartistrelocation or http://www.tamaquaarts.org/. Click HERE to view a list of artist locations.